Winter is citrus season. I had a bounty of blood oranges and tangerines harvested from various backyards, so I made a mixed citrus marmalade. It’s a little soft and fairly bitter which is the way I like it. In addtion to being good on toast, scones or biscuits. Marmalade, whether you make it or buy it, is a great ingredients to have on hand. It can be used in many different recipes. Orange marmalade is particularly versatile. It works in both sweet and savory dishes. You can use it flavor plain yogurt, whipped cream, cream cheese, vanilla ice cream or even with a mild goat cheese. It’s featured in quite a number of cake recipes and as a glaze on sticky buns. Mixed with a bit of lemon juice it makes the perfect dressing for a fruit salad. I recently wrote about marmalade cocktails for OpenTable. 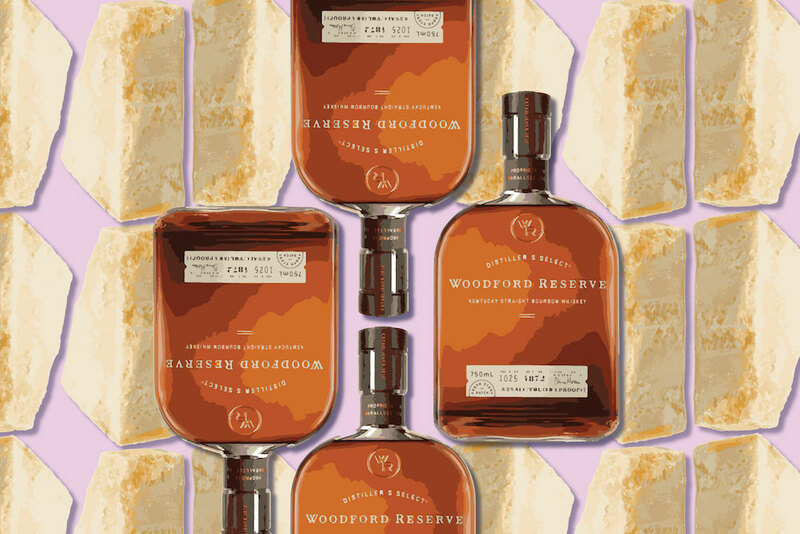 It also pairs particularly well with chicken, ham or pork. A few weeks ago I was contacted by Napa Grass Farmer, a locally based, “beyond organic” meat farm located in both Napa and Suisun counties. Currently they offer delivery to Napa, Solano, Contra Costa, Sonoma, Marin and San Francisco. They serve hundreds of families and wanted to begin featuring custom recipes in their monthly CSA boxes and in their newsletter. I received a whole chicken and a pork tenderloin in exchange for a recipe for each. Call it an example of the barter economy. 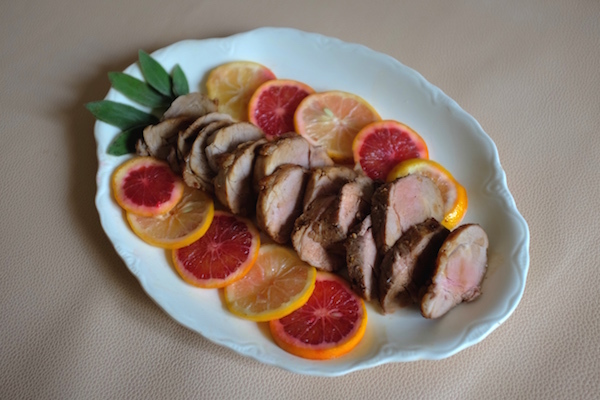 Here is the pork tenderloin recipe which just happens to use citrus marmalade. Preheat the oven to 400°F and pat the pork tenderloin dry. Combine the kosher salt, pepper and garlic powder in a small bowl, then rub it over the tenderloin. In a saucepan combine the marmalade, orange juice, honey and mustard. Whisk and heat just until thoroughly combined. Heat a large, heavy oven-proof skillet (preferably cast iron) over medium-high heat, add the oil, then sear the tenderloin, turning until brown on all sides, about 2 minutes. Pour the sauce over the tenderloin and transfer the skillet to the oven. Roast the tenderloin for 15 to 20 minutes, turning once and basting with the sauce in the pan, until the internal temperature reads 145ºF. Remove the tenderloin to a cutting board and let it sit for 10 minutes before slicing it into medallions. Can be served as a main dish or on top of baguette slices for a crostini appetizer. Garnish with fresh herbs and citrus, if desired. Disclaimer: My thanks to Napa Grass Farmer for providing the pork tenderloin. I was not compensated monetarily for this or any other post on Cooking with Amy.